An Introduction : A short history of the Freedom Riders from Smithsonian Magazine. 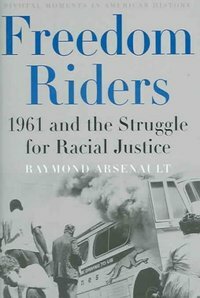 Read excerpt online from Raymond Arsenault's book Freedom Riders: 1961 and the Struggle for Racial Justice. "The segregation and disenfranchisement laws known as "Jim Crow" represented a formal, codified system of racial apartheid that dominated the American South for three quarters of a century beginning in the 1890s. The laws affected almost every aspect of daily life, mandating segregation of schools, parks, libraries, drinking fountains, restrooms, buses, trains, and restaurants. 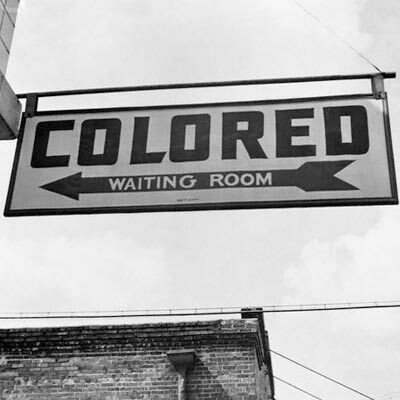 "Whites Only" and "Colored" signs were constant reminders of the enforced racial order. . . . "
Explore The Issues : Jim Crow Laws, Slow Progress, The Media, Spirit of the Times, Victory for Nonviolence and more. Each page of information also has accompanying videos. "Nine former freedom riders talked about their involvement in the civil rights movement in the 1960s. The panelists were members of the New Orleans chapter of the Congress of Racial Equality (CORE), and participated in the Freedom Rides, a 1961 protest against racial segregation in public transportation. They talked about how and why they got involved and some of the dangerous situations they faced. They also responded to questions from the audience".